Want to bring your Filipina sweetheart to Australia? 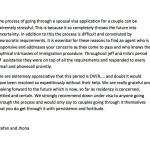 Are you wanting to bring your special lady (your spouse/partner/wife) from overseas to live with you permanently in Australia? Is she a Filipina lady? Do you find the process confusing and scary? If you get it wrong, you’re in for a lengthy and frustrating wait! 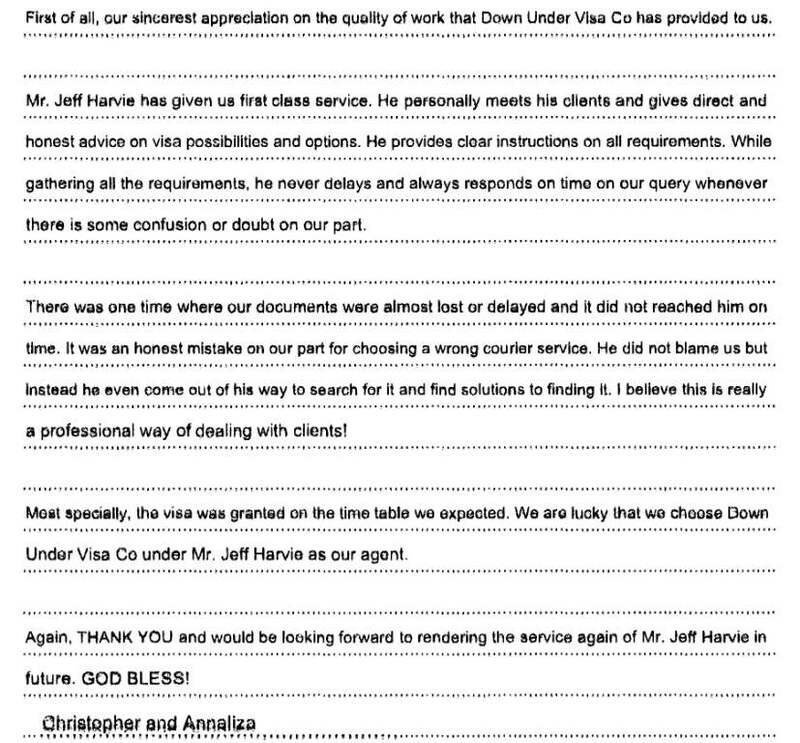 We really do understand your concerns and we know exactly what you’re going through. 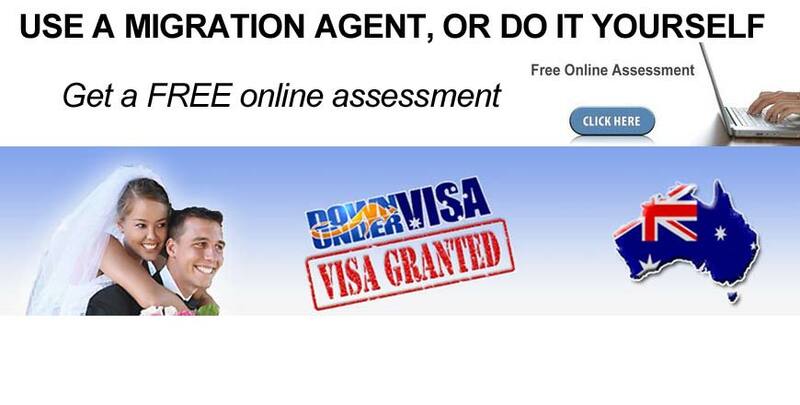 Get it right, and you’re granted a visa. Get it wrong and you may get a refusal. 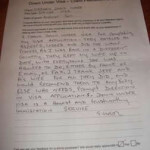 We at Down Under Visa have many years experience in this process, and we have even been through it all ourselves. 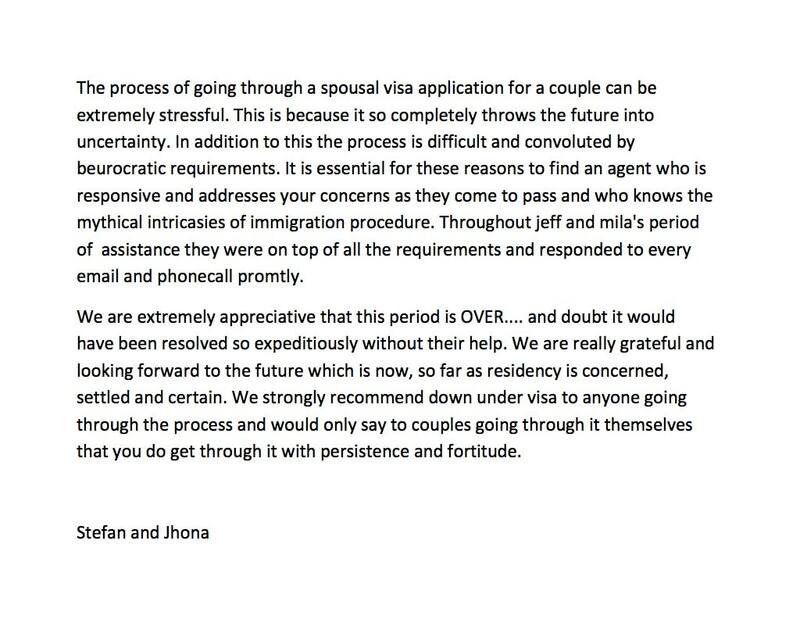 And we spend 99%+ of our time doing spouse visas from Philippines (and fiancee visas from Philippines)*. So you’re in very safe hands with us. 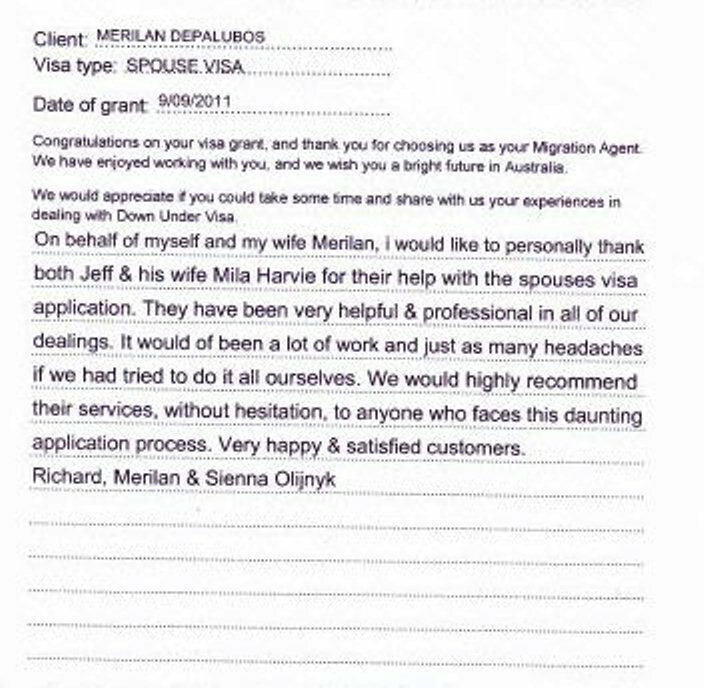 (MARN 0959797) with Migration Agents Registration Authority (MARA), in conjunction with his Filipina wife Mila. 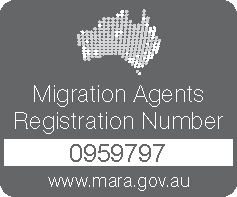 MARA is part of the Department of Immigration and Citizenship, and is there to ensure that registered agents are qualified and ethical and will always act in your best interests. Mila is a former school teacher, and was born and educated in Philippines. 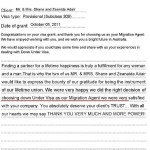 We have a very impressive success-rate, and we know Australian Migration Law. 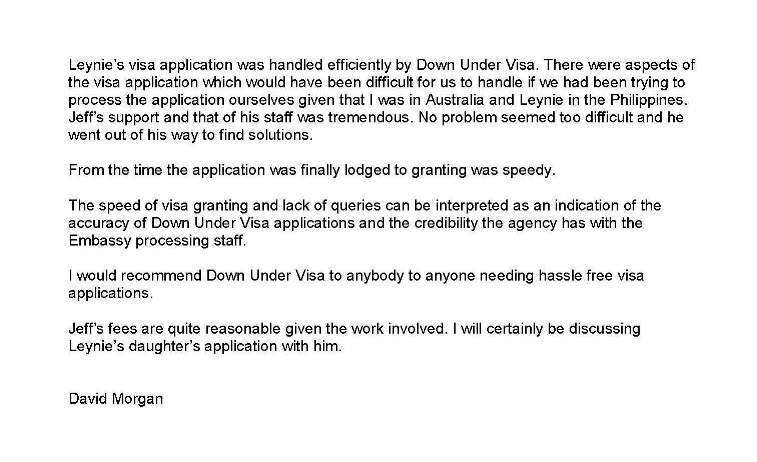 We can manage your entire application for an Australian Visa for you from the point of assessing your case, to gathering your personal information, to helping you prepare all your personal documents and other visa requirements, to preparing and lodging your Australian visa application with a proper legal submission, to personally dealing with issues that may come up with the Department (Manila Embassy, ie. 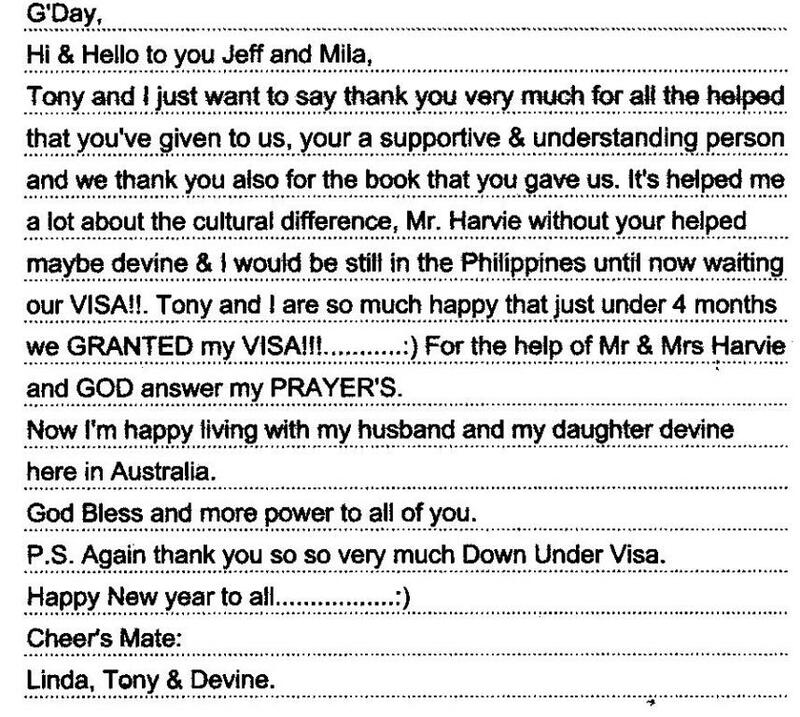 the Australian Embassy in Philippines), right down to when your spouse visa (aka partner visa) gets granted. 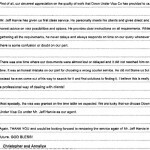 We work with you every step of the way, and we take the stress and uncertainty out of an otherwise scary and risky process. 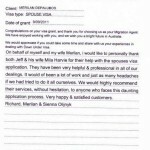 If your special lady is from the Philippines, we can provide a level of service and insight that no one else can. Why? 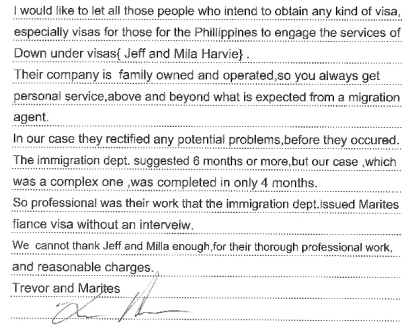 Because we’ve been there and done that ourselves (Jeff & Mila are an Australian/Filipina couple), and our main office is based in the Philippines. 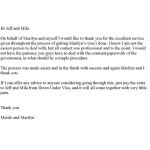 We provide guidance of the administrative issues as well as any personal hurdles you may have. 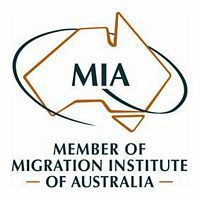 We can provide experienced guidance with the way things work in Philippines to obtain correct documents and other Australian visa requirements, and can help with personal issues and cultural issues that may confuse and frustrate you along the way. *NB. 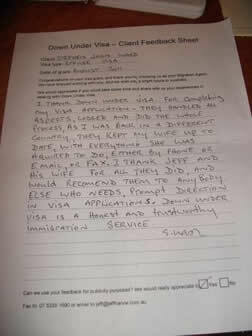 Fiancee Visas are correctly known as Subclass 300 Visas, or Prospective Marriage Visas. 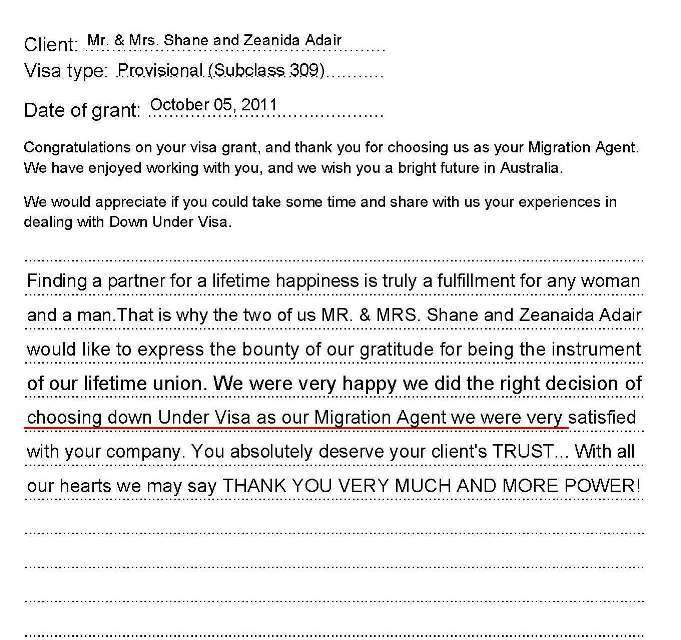 Spouse Visas and Partner Visas are correctly known as Subclass 309 Visas, or Partner temporary visas. 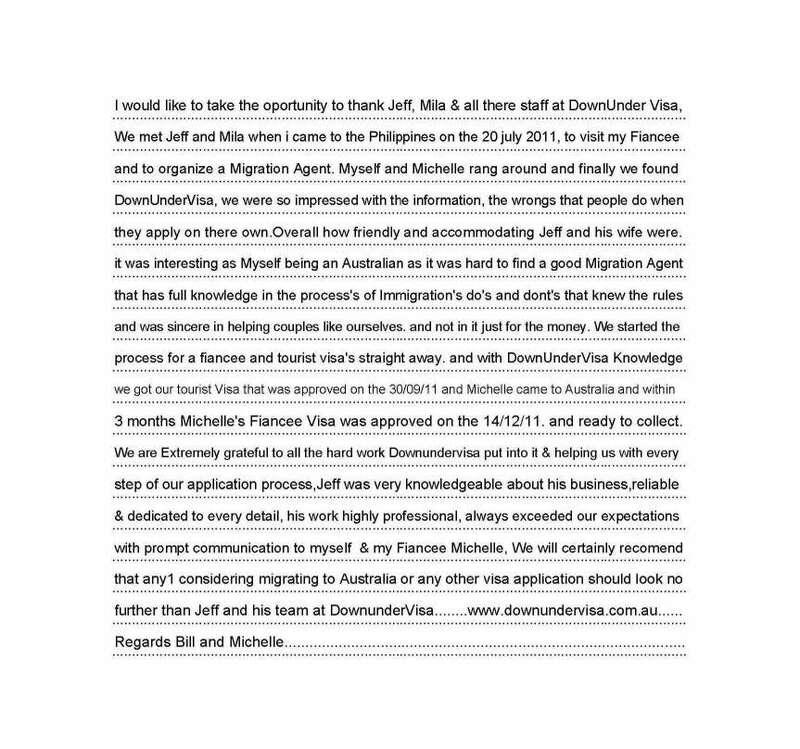 As a Migration Agent registered with the Migration Agents Registration Authority of Australia, Jeff Harvie understands the difficulties facing anyone undergoing the process of migrationg to Australia. 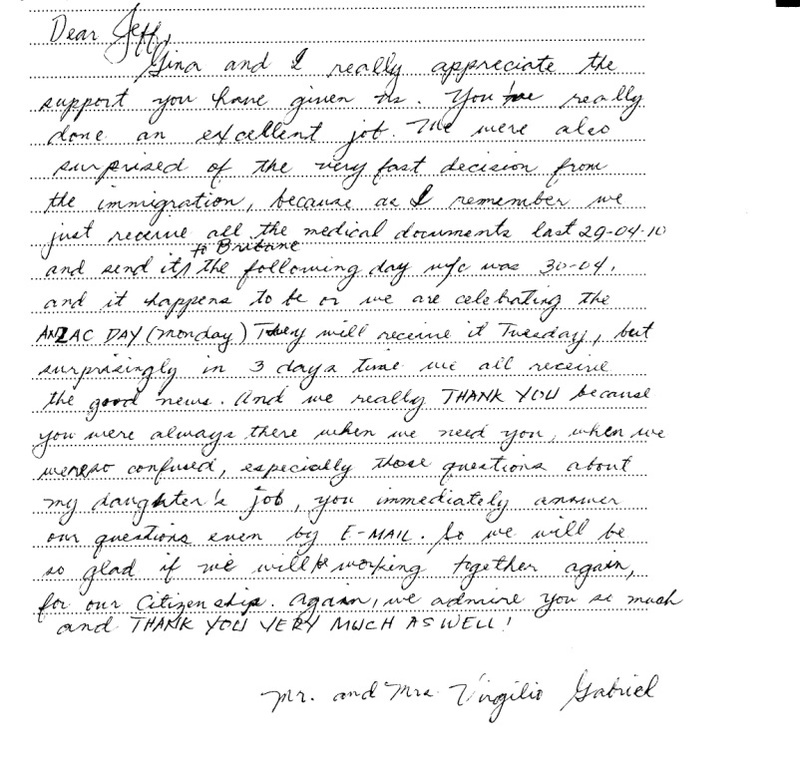 Jeff’s wife is from the Philippines and after they met in Hong Kong, they went through the migration process themselves. 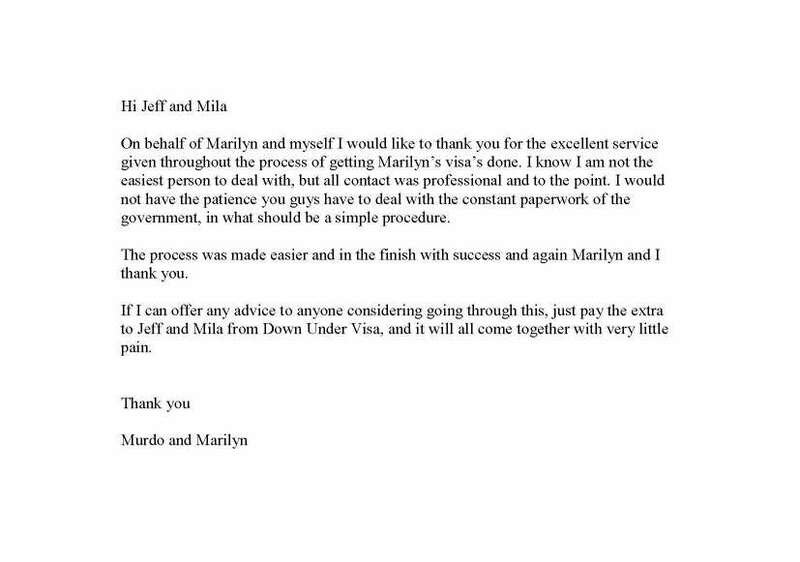 This means that Jeff and Mila have not only a professional understanding of the pitfalls of navigating the Australian immigration process, but a personal one as well. 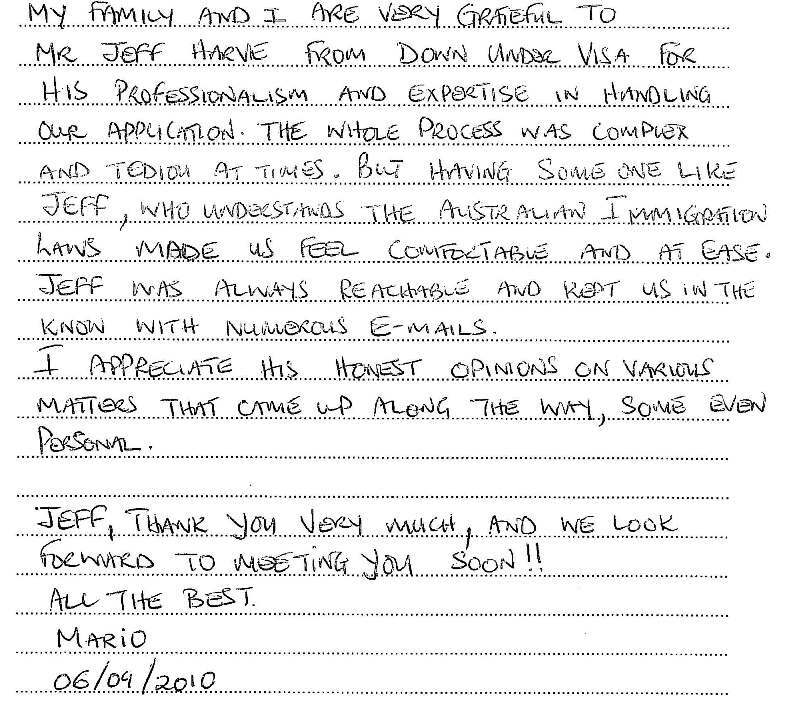 Jeff’s background in business management consultancy and rural land development gave him the problem solving skills and attention to detail necessary to effectively structure applications to government departments. 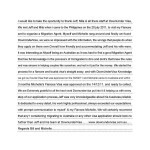 He has found that applying these skills in the immigration field to be far more fulfilling than in his previous career because the goal is often the unification of family members. In short, he gets to help people start a new and hopefully better life. There isn’t anything much more fulfilling than that! 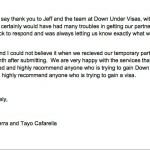 Jeff’s firm, Down Under Visa has offices in both Manila, Philippines and Australia although more time is spent in Manila these days. 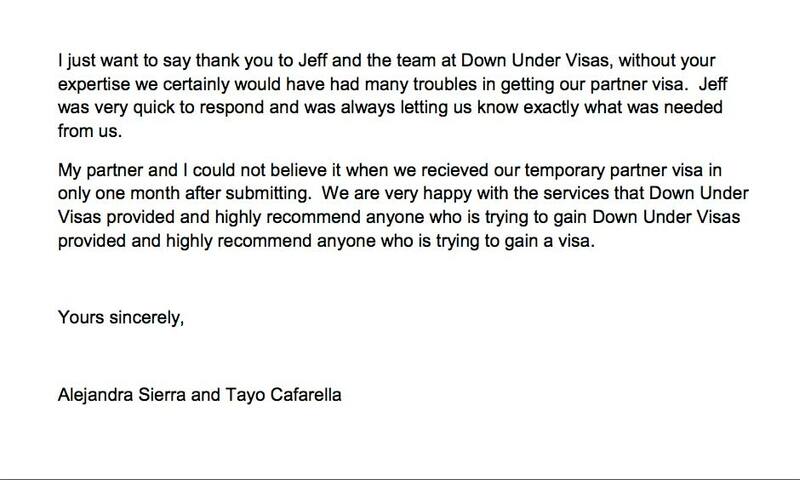 Down Under Visa is truly a family business with Jeff’s wife Mila and son Jeremy both helping with the complex paperwork , meeting all the legislative and Departmental requirements as well as helping to smooth over the often complex cross-cultural differences. 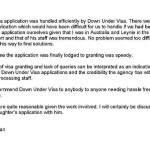 Down Under Visa is with you every step of the way ensuring your application is as close to perfection as possible from the moment of your first inquiry right through to the granting of your spouse’s visa and starting your new life. NB. 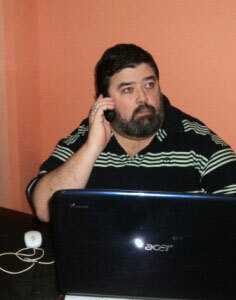 We do not give advice or discuss cases over the phone. We do this to avoid mistakes and misunderstandings which can have tragic consequences. 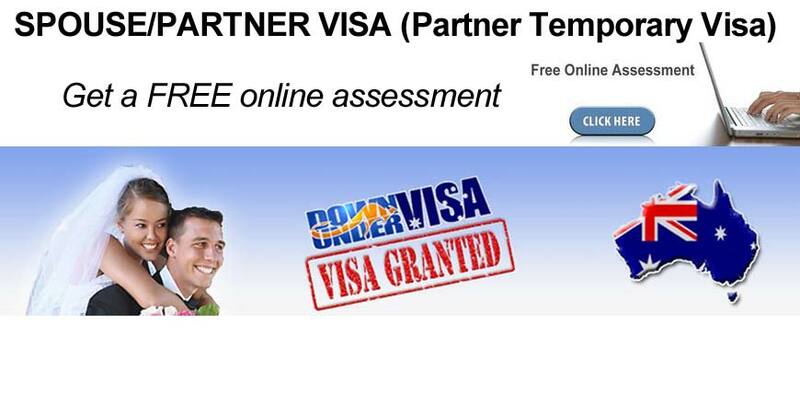 We advise you strongly to use our free assessment forms.